Woo hoo! Guardian’s Mate hit the New York Times bestseller list at #12, and USA Today top 50!! I’m so thrilled! Thanks to everyone who took the chance on it. I so much appreciate all your support. More Shifters to come–Red Wolf, the next book, is already available for pre-order. (See http://www.jenniferashley.com/jennifer-ashley-books/shifters-unbound/red-wolf/) for order links and more about that book. 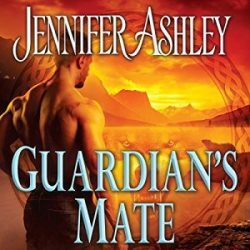 Also, I see that Guardian’s Mate is up for pre-order at Audible now, as well as the publisher, Tantor Media.